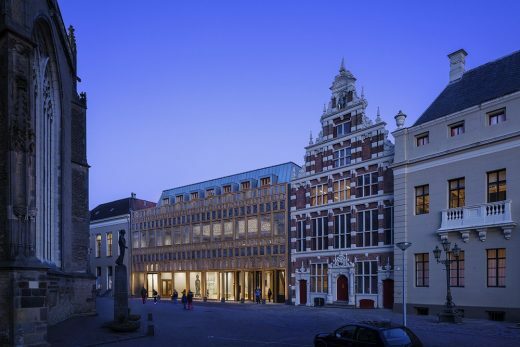 City Hall Deventer, designed by Neutelings Riedijk Architects, has been awarded the 2017 Abe Bonnema Award for Architecture. The jury called the project an example for Dutch architecture. The facade contains a large artwork by Dutch artist Loes ten Anscher, depicting 2.264 fingerprints of Deventer citizens cast in aluminum window frames. 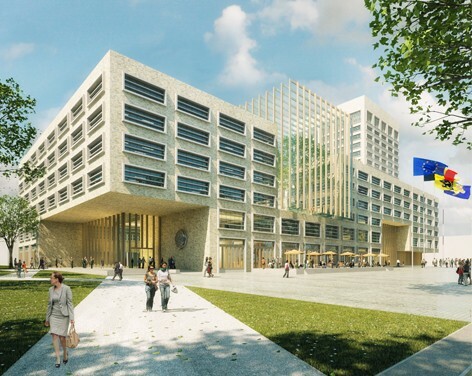 Construction of the new office building for the Flemish Government in Brussels has reached its highest point. The building is located along the canal on the site of Tour & Taxis, one of the large-scale development locations in the heart of Brussels. The project’s meandering shape creates a diverse building volume of 66.500 sqm that integrates naturally with the urban blocks along the Havenlaan. To establish an attractive working environment for the 2.600 employees, a low-rise building of six layers was chosen. A vertical accent of 60 meters makes the project recognizable in the skyline of Brussels. The Herman Teirlinck building is characterized by a covered inner street that runs through the entire length of the building and aligns with the inner street of the Royal Warehouse. All common functions for employees, such as restaurants, reception rooms, auditoriums and meeting spaces are connected to this street. On the upper levels, the office floors are situated around four large green winter gardens that are encased in glass. The Herman Teirlinck building will become the largest energy neutral office building of Belgium, completion is expected for mid 2017. 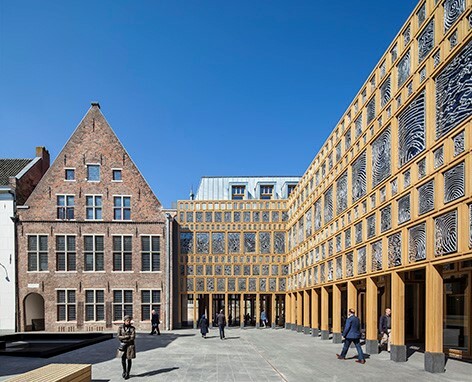 This new Dutch building is organized around two newly designed gardens: the one that encloses the old mayor’s house and a covered inner yard in which visitors and employees can meet one another. The facades consist of a grid of different sized, oak wood frames that are filled with aluminum grills with fingerprints from Deventer citizens; an artwork by Loes ten Anscher. The artwork showcases the building’s public value and embeds it in the city. new Latvian Museum of Contemporary Art (LMoCA) in the capital of Riga. The LMoCA is to become an art institute of interregional significance and a new landmark building in the Baltic States. The €30 million building will be funded by the Boris and Inara Teterev Foundation and the ABLV Charitable Foundation. 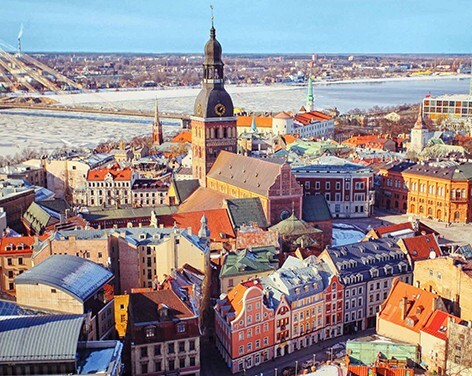 Both foundations work closely with the Ministry of Culture of the Republic of Latvia. The museum’s unique collection spans art and visual culture of Latvia and the Baltic Sea region from the 1960s onward. Seven renowned practices have been selected for the invited design competition which is organised by Malcolm Reading Consultants from London. An exhibition of all designs is planned for the late spring. The winner announcement is due in late May 2016. 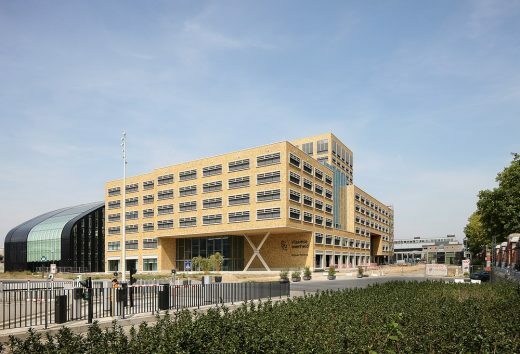 24 May 2013 – Neutelings Riedijk Architects has been awarded with the architectural design commission for the new Naturalis Biodiversity Center. With a collection totalling over 37 million objects Naturalis is one of the top five natural history museums in the world. A collaboration between Amsterdam Zoological Museum, National Herbarium Nederland and the National Natural History Museum Naturalis in Leiden has resulted in an expansion of personnel and objects and correspondingly the need to extend and renovate the current location and research facilities. Neutelings Riedijk Architects was unanimously chosen by a commission led by Ton Idsinga, architectural historian, who stated that the vision of Neutelings Riedijk Architects allowed the existing part of Naturalis to stay close to intact, while achieving a completely new concept with the new building on the north side, forming one ensemble, however different the appearance of the two buildings are. The design team constitutes of Neutelings Riedijk Architects, Aronsohn Constructions, Huisman & Van Muijen and DGMR Engineers. 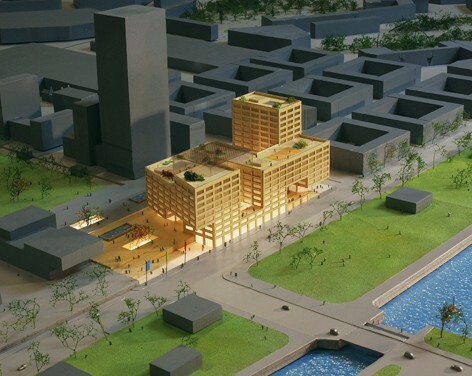 Neutelings Riedijk is building the ‘Eemhuis’ in Amersfoort, a cultural centre of about 15.000 m2. The construction started in 2010 and reached its highest point this month. A festive celebration will be held this Friday September 7th. The Eemhuis combines the city library, the regional archives, an arts school and exhibition spaces. Completion is scheduled at the end of next year. 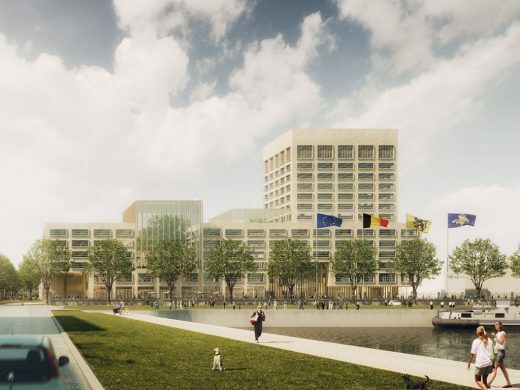 The Eemhuis opens its doors in 2014 and expects to welcome more than 800.000 visitors a year. The building is part of an urban redevelopment area close to the city centre. It is organized as a vertical stacking of these four programs, connected by a vast staircase. Through an innovative design, a new and attractive cultural space is created in the heart of the city of Amersfoort. Neutelings Riedijk Architects has made a design for a 180 m high office tower, ‘Le Cinq’ in Paris, commissioned by Brussels developer Buelens NV as one out of four teams for the international competition organized by the City of Paris. The results of this competition are currently on show in an exhibition in the Pavillon de l’Arsenal in Paris from July 2nd until August 20th. The new skyscraper serves as the focal point for the east of Paris in the new urban development of the XIIIth arrondissement, near to the Grande Bibliothèque. The tower consists of a stacking of five separate volumes of six stories each, cantilevered from two vertical cores with open space between the volumes. Each block has an open inner court and a vast roof garden. In this way, a new type of green urban skyscraper has been developed that combines the quality of a low-rise urban fabric with the potential of high-rise tower. The tower holds 110.000 m2 of above ground floor surface of office spaces, a 300 room hotel and a shopping center, as well as ten underground parking levels. The 180-meter high tower will be the first major high-rise building in Paris since the Montparnasse Tower and the Riverbank Towers in the 1970’s. The MAS | Museum aan de Stroom stands between the old docks in the centre of the Eilandje. This old harbour area is the most important city renovation project in the centre of Antwerp and is in full development as a new dazzling city district. November 19, 2017 in Architects.